I have passed this century-old ash tree nearly every day for 16 years, and come to know it as a friend. Now my old friend is dying. Last spring, its leaves emerged small and sparse. This spring, only a few scattered branches have any leaves at all. I guessed that the tree had been discovered by the Emerald Ash Borer, a beetle from Asia that is thought to have arrived in the United States in packing crates more than a decade ago. It was first discovered in Michigan in 2002, and has since spread to many states and killed at least 25 million ash trees. Some experts predict that it will drive the ash tree to virtual extinction, like the American Elm. But nowhere could I find reports of its having reached Connecticut. I phoned entomologist Louis Magnarelli, my state's chief plant regulatory official. He said that the beetle probably won't arrive in Connecticut for eight years or so. More likely, he said, the tree is dying either because it can't compete with the sugar maples springing up around it, or from Yellowing Disease, thought to be caused by a fungus or some other pathogen. 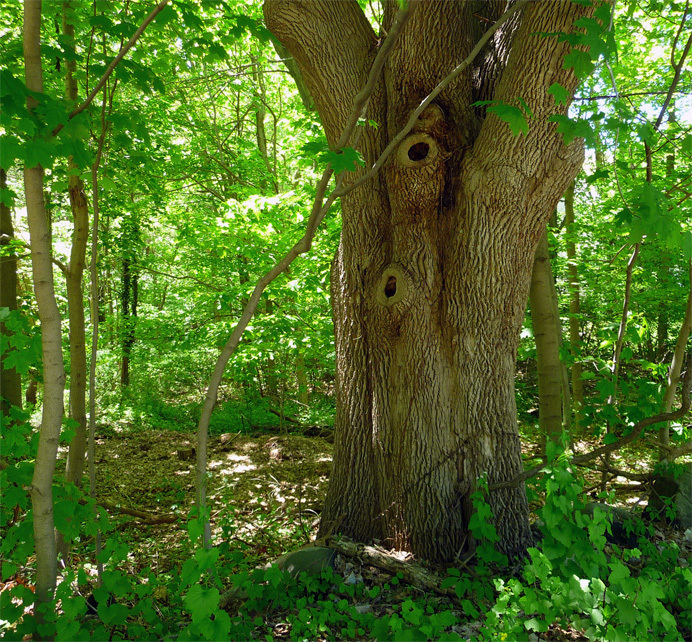 Ash trees are also vulnerable to drought. A 97-year-old ash tree died in my own back yard several years ago, and I still miss it. I haven't planted a replacement tree, partly because I know I'll be retired in a sunnier clime before the new tree becomes huge and wonderful like the old. This reminds me of a Chinese adage: "The best time to plant a tree is 25 years ago."